If a company’s owner is the foundation then the employees are the framework. It is important for both of them to be strong for a business to flourish. This is why personnel decisions should be made with utmost care. 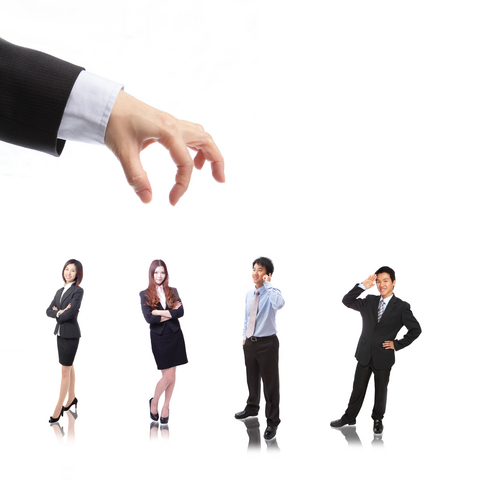 Recruitment process is a tough job that involves several complex decisions. It is important that you follow the best practices to be able to hire the right people. Do not wait to start looking for an employee at the eleventh hour. It is important to have a succession plan in case any of your employees decided to jump ship. All the companies must keep a collection of CV to refer to in case such a situation arises. Secondly, the HR manager must have an idea about the turnover ratio so that the company can advertise at the right time. Lastly, company must make sure that it advertises at the right platform, i.e. : advertising for a CEO on social networking websites is a no-no. Companies must have standards on hiring. Firstly, they should clearly set the JD right so that those who are competent can be actually chosen. Quite a few times, companies end up receiving thousands of applications that brings them a lot of trouble. To avoid this problem, a company must have proper eligibility criteria that should be clearly described in the job advertisement so that only those who are eligible apply for the job. It is important for every company to examine a candidate’s ability. This can be done through tests and interviews that have to be taken carefully. Test should always be prepared with care so that the candidate’s ability can be properly judged. There are many professional companies providing help in this regard. If needed, you can reach a company to prepare you a test that will help you judge potential employee’s caliber. Secondly, interview should be conducted by those who are experienced in doing so. It is important that the interviewer only asks relevant questions so that time is saved and result is achieved. It is important that you ask all the employees to bring support documents, which must be verified by you. Documents such as character certificate, degrees, etc. have to be provided on time. On your part, it is important that you go through a procedure to verify all the documents. Do not blindly believe on everything you are told. Use external help to confirm everything. Secondly, it is recommended that you also have a reference check so that you can be sure about the employee’s background. Following were the main points you need to remember when hiring an employee. It is important that you choose a right employee, as by hiring a wrong employee you will not only let go of a right employee, but the business might also have to suffer a lot. The answer is in being attentive and paying attention to all the important points so that the risk can be minimized.